Thanks for stopping by to read my adventure blog. The reason I write this blog is to help inspire others to get out and enjoy the outdoors. Each week I set out on an adventure, some adventures are small and others are big. My main goal is to get out and get in motion. Running helps me relieve stress, unleash creativity, enhance problem solving, and gain positive energy. 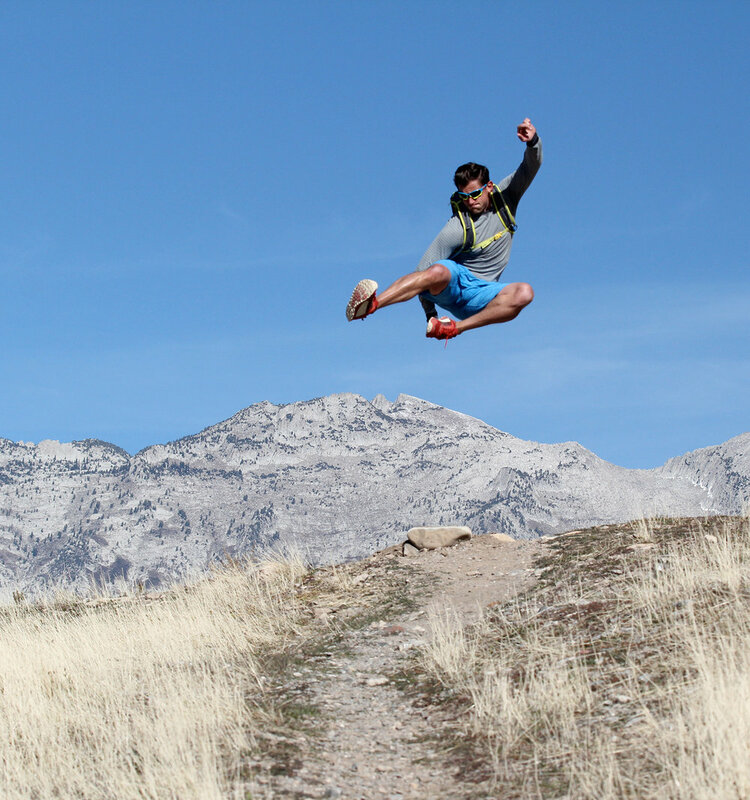 Utah has become home to some of the best trail runners in the world. Most of the time, trail running in Utah starts at a parking lot with the goal to run up a mountain or along a mountain ridge. How could that be fun? It's a blast. I'll tell you why. First, you gain more distance than just hiking or walking a trail. That means you'll get further out there in the mountains. You'll see places and views few people in the world will see. Second, it teaches you the lesson of digging deep. Running up mountains isn't easy and many times life isn't easy. Running mountains trails teaches you to be patient and move forward. It teaches you that you can do hard things. Finally, exercise just feels good and makes me happy. For this adventure, I went out with my friend Jon Peachey. Jon is a very talented trail runner and shares his passion for running on his Instagram @runpeachey. Trail running is always better with friends who can help you keep a strong pace and help encourage you to keep moving forward until you reach the summit. Jon and I set out to do a quick run up cardiac hill. This is a steep run that really gets your heart beating. Cardiac hill trail run takes you up a ridge line with breath taking views of the majestic Lone Peak in the distance. We had to stop to catch air off of nature's table top. You can see Lone Peak in the distance. Jon out jumped me. He has some serious hops. After you pass the ridge line, you start the ascent up cardiac hill. The goal here is to not stop moving. It breaks you every time, but it's worth it. It's steep. Once to the top of cardiac hill you'll run up and down steep ridge line hills with the mouth of American Fork just in front of you. Jon and I did a few intervals on the steep ridge line. Sprint intervals help increase endurance and speed. The view up the canyon was awesome. Running releases serious endorphins. These endorphins interact with your brain to create positive energy. It's called the runner's high. It's amazing how a run will lift you up if you are feeling down or even a little depressed. Trail running also combines these endorphins with big views. The combo of the two create a strong happy space where ideas flow freely and positive energy fills my soul. I know it sounds crazy, but it's true. Running is the right type of medicine and trail running is even better. There you have it. This weeks adventure. Make sure you find time to get out of the house and enjoy this beautiful world. Pictures were taken using the Canon 6D.